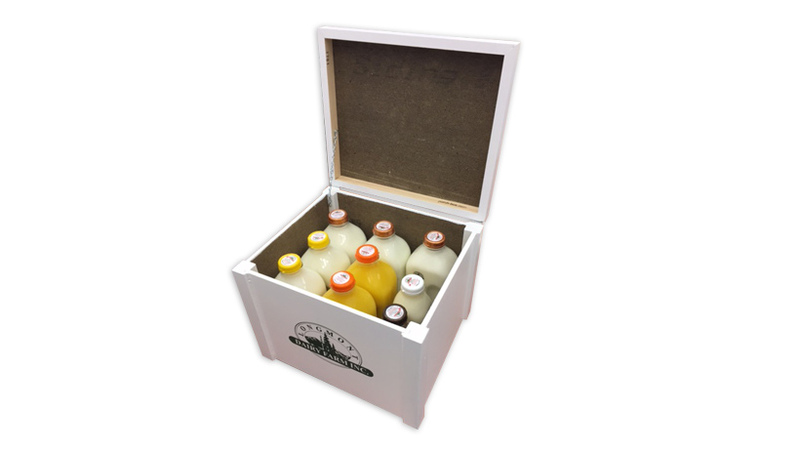 9-bottle milk boxes are available upon request and will be made to order. With almost ½” thick insulating and moisture-resistant walls, you can be certain your deliveries are protected. Hand-built by craftsmen right here in Colorado, these boxes are the perfect compliment for your home and will retain their great looks through years of service in every kind of weather. They are very reasonably priced at only $59.99, and they are yours to keep forever! To order, please call Longmont Dairy Customer Service at (303) 776-8466.